With Samsung's main fleet of smartphones having been announced and released this year, there's already much speculation regarding what's next. The Galaxy S7 will likely arrive earlier on in 2016, while the next Note will join around the time of IFA in September, but what exactly these high-end devices will entail is very much up for debate. In the build-up to next-gen handsets, the processor choice is often considered pivotal, and while many smartphone OEMs rely on the likes of Qualcomm and MediaTek in this regard, Samsung's Exynos chips have built a strong reputation. A new report from Sammy's native Korea suggests that the brand new Exynos 7880 will be used for Galaxy handsets next year, while the Exynos 7650 is also in the works. Neither of these chips is going to power the big players of Samsung's range, though. We've heard that the Galaxy S7 may include the Exynos 8890, which could be a real treat for those with a lust for power. The 7880 and 7650 will likely be utilized by Samsung's expansive fleet of mid-range devices, of which there could be many dozens. The 7880, per the details leaked via Weibo, is a 64-bit affair complete with 1.8 GHz ARMv8A Cortex-A72 and 1.3 GHz ARMv8 Cortex-A52, flanked by ARM Mali-T860MP4 graphics. The Exynos 7650, meanwhile, is also a 64-bit affair with 1.7 GHz ARMv8A Cortex A-72 and 1.3 GHz ARMv8 Cortex-A53, with ARM Mali-T860MP3 GPU. Where the Qualcomm Snapdragon 810 has caused no end of problems for the likes of Sony and HTC, Samsung's flagship line has endured much less of a bumpy ride. With reports of year-on-year sales declines, though, there's definitely room for improvement, and given what we've heard of the Exynos 8890, we'll be looking forward to seeing what the company's upcoming SoCs bring to the table. Perfect for A-series phones. The build quality of A-series is top notch. 31 fps is similar to what the adreno 330 got in SD 801. Not bad but I don't think it can compete with a T860 MP4. The T760 MP8 gets about 60 fps. I would expect a T860 MP8 to perform about 20-30% better than T760, which means about 75 fps. A T860 MP4 should churn about 37-38 fps if I'm correct. A T860 MP3 should be doing about 27-28 fps. Either way, both of these are much powerful than the mid-range garbage we have in 2015. Each Mali-T860 core has 22 GFlops (20% more than T760). It means 66 GFlops fot T860MP3 and 88 for T860MP4. Adreno 330 (from SD801) does around 160 GFlops, Adreno 418 ~170 GFlops. Adreno 510 inside the Snapdragon 620 is similar to Adreno 330/418 so it will be much better than those two new Exynoses. According to this logic, the 330 and 418 are faster than the T760mp8 too. Wake up call, the mali destroys both in practice. You can't compare GFLOPS. The Adreno 430 has like 50% more GFLOPS, but in benchmarks they perform similarly. And in real games the Mali destroys it. In real games Adrenos are beasts. 418 combined with QHD display is buttery smooth in GTA SA. And G4 stutters badly in dead trigger 2. See this: https://youtu.be/zvzzG2JR03k?t=132 You only have to watch 5 seconds of it. Besides, QHD doesn't matter for gaming as 90% of the games render in 1080p or lower. And even those who render at 1440p don't necessarily have more detail. Two handset with identical SOC dont always have same benchmark scoore. Its depend on many factor including drivers , the skin over android and others stuff i would need to doublecheck. LG where never good when its come to games optimizations. Real game like a PC game or real mobile games? Because with crappy textures used in mobiles games Gflops is useless but with real graphic its not. Adreno is a more PC like architecture than the crappy Mali. Mali is good with no texture and no dynamic lightning games wich will slowly disapear. Textures don't require ALU computations at all. They require just bandwidth. The things that require computation are things like ray tracing and hide triangle count. and how can you explain then that Mali outperforms Adreno even in "crappy textured" games? the performance does not scale in gflops. Looks good on the paper. Let's see how they perform in real life and maybe Sammy will reduce the price of mid-range phones. LOL.. very true. I had so much 'fight' over 5433 specially. Initially I though the 1st digit is for the generation of the SOC, but that theory is wrong now. 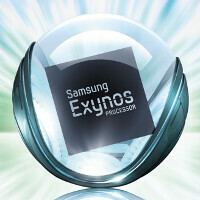 "Exynos 7890 = M1 Mongoose & T880 MP8" is the M1 not called 8890? E7890 is also an existing SoC but likely less powerful. The M1 will be Exynos 8 series chip. All the 7 series have ARM cores, while 8-series will likely have custom ones. 28nm? I'm surprised to see Samsung using such an old process node for a brand new chip, though I guess manufacturing costs are much lower at that size than they are on the 14nm node used for the 7420. Weird to go back to 28nm though, considering the Exynos 5430 in the Alpha and A7 from earlier this year were both on a 20nm node. I guess it's just a case of which of their foundries was free to move to manufacturing the new A72 cores. Or perhaps their 20nm foundry is being re-tooled for the 10nm node that's supposed to be coming next year. I'm sure there's good reason for going back a node on their midrange SoC, but it feels like a step backwards to me. 28nm is a mature and refined process, there's no need to increase cost in a midrange processors. They should have used 20nm. 20nm isn't a huge jump from 28nm, but 14nm is a huge jump from 20nm. But they used to 20nm in their midrange phones this year and the 20nm process is also mature at this point. It's still more expensive. They used 20nm process by fitting 2014 flagship processors in 2015 midragners.